EposVox shows how to use the new NDI features in Skype for Content Creators, with Open Broadcaster Software (OBS), the popular free open source application for video production and live streaming. Often used as the entry level option for personal video production for social video streaming, OBS is prominent in the social gaming community and esports production and streaming to social video networks such as Twitch. OBS has had a plugin for support of NewTek’s NDI®, royalty free IP technology for bi-directional transport of video, audio and data over standard networks with very high quality at very low latency, for quite some time. 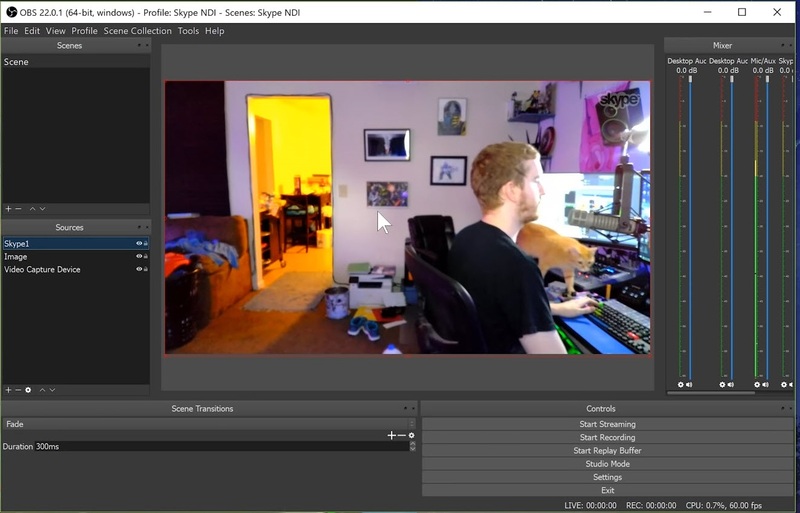 The newly released Skype for Content Creators includes NDI support as well, which means it can act as a source for NDI-aware devices and applications on the local area network. Skype for Content Creators is the current stable version of Skype, available for free download: Skype Home page.